Digital media people had a rough 2018, fielding questions from Cambridge Analytica to the evolving privacy policies to YouTube ads running on channels promoting Nazis. This year alone, Apple’s ITP 2.0 killed our cookies, Google’s content filters killed our faith in technology and OATH killed itself. Constant change could be precisely why you love this industry, but that daily grind is a contributing factor to employee burn-out, feeding the advertising industry’s blistering 30% retention average. Given the reality that an agency’s offering is only as compelling as the people who work there, this issue represents a major challenge; so how do you find and nurture talent with the grit and tenacity to thrive in our tumultuous environment? Look to Gamers. As advertisers, we finagle our strategies to find the most cost-effective way drive a target audience to action. As gamers, we are presented with a problem to solve with a finite amount of levers at the protagonist’s disposal to accomplish a particular task. 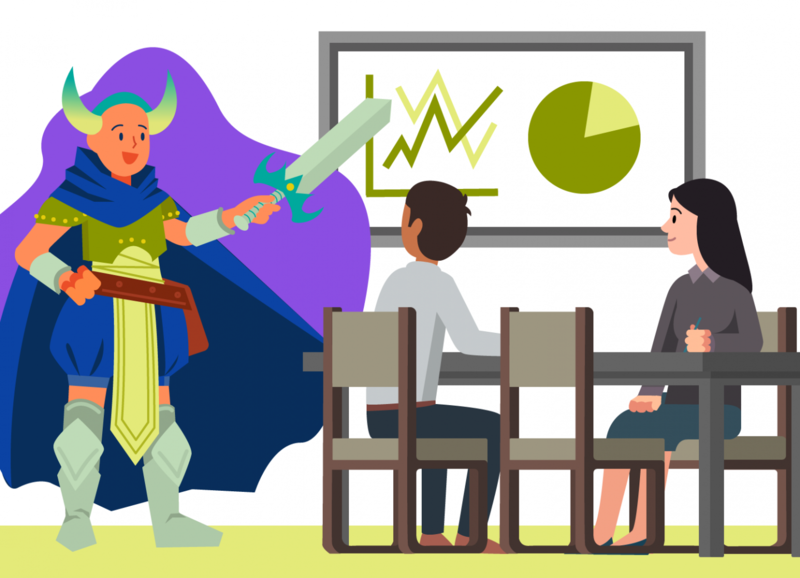 Whether you’re brandishing the Master Sword or answering an RFP proposal, knowledge of your toolset and understanding the limitations and unique strengths of the levers at your disposal is crucial to outmaneuvering a foe. Walk away from the problem if you need to. Take time to rethink your character/client’s skills and abilities. Consult the manual/briefing materials and try to flip the problem on its head to find a new perspective. Assumptions can help expedite good work but they can be the enemy of great work. Ensure as part of your strategic process, you have a mechanism to take a turn down the road less traveled. Who knows, you may find yourself uncovering a new way to reduce waste in your targeting or you may learn that the “cake is a lie.” Combining tactics in a unique way can help destroy impediments and progress the game at hand. Consult your team, consult forums, consult YouTube; in the same way rising water lifts all boats in the harbor, more information elevates the strategic lens applied to the problem at hand. Learning something new or expanding a skillset is intimidating and difficult, especially when at the beginning and struggling. Many can fall into the trap that intellectual understanding is enough, that all they need to do is read or discuss it in order to be able to do it well. Similarly in video games, one may conceptually know that you need to hit the target to cause damage but knowing how and actually doing it are two different things. To fill the gap in knowledge between understanding and executing, skill development is vital and requires practice. If 2018 was any indication, digital marketing will face many difficult questions in the coming years around privacy, data, tracking and many new topics that will surface. We need voices in the room who will challenge norms and champion a moral path ahead, avoiding lucrative traps that can ensnare our work and present challenges to clients. MLK said, “the arc of history is long and bends toward justice.” To navigate the complex problems digital marketing is poised toward, we will need to support “hero archetypes” encountered on our journey to find a sustainable path forward. In adopting these practices, we can find more individuals who thrive in this industry, ensuring we have the right talent with the necessary tenacity to forge ahead.